Learning is about the journey, not the destination. Library Media Center, Computer Lab and LEAP. Students visit the library weekly in all grades. Students visit computer lab biweekly in grades K-2 and weekly in grades 3-6. They are encouraged to select books or magazines for school projects and recreational reading. Click here for a link to our weekly scheduled classes. In Computer Lab, students develop a familiarity with computer operations as well as Internet Safety. Formal keyboarding instruction begins in Grade 3. Thank you for supporting our Book Fair. 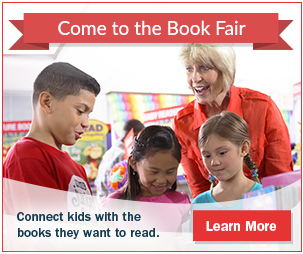 Look for information about the next Book Fair in Fall 2019.